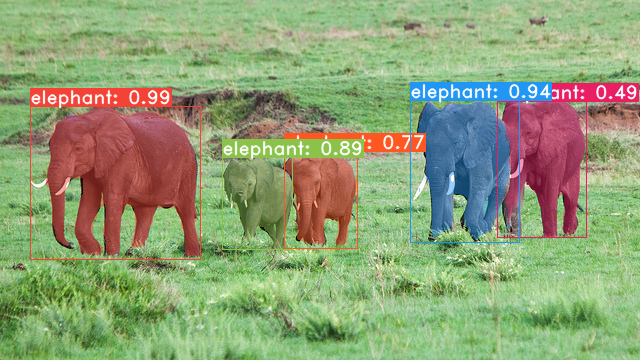 A simple, fully convolutional model for real-time instance segmentation. This is the code for our paper, and for the forseeable future is still in development. Set up a Python3 environment. 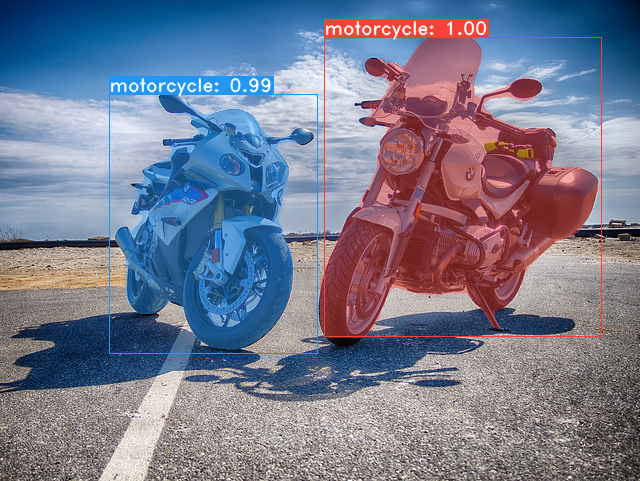 Install Pytorch 1.0.1 (or higher) and TorchVision. If you'd like to train YOLACT, download the COCO dataset and the 2014/2017 annotations. Note that this script will take a while and dump 21gb of files into ./data/coco. If you'd like to evaluate YOLACT on test-dev, download test-dev with this script. To evalute the model, put the corresponding weights file in the ./weights directory and run one of the following commands. # Quantitatively evaluate a trained model on the entire validation set. Make sure you have COCO downloaded as above. # This should get 29.92 validation mask mAP last time I checked. # Output a COCOEval json to submit to the website or to use the run_coco_eval.py script. # This command will create './results/bbox_detections.json' and './results/mask_detections.json' for detection and instance segmentation respectively. # You can run COCOEval on the files created in the previous command. The performance should match my implementation in eval.py. # Display qualitative results on COCO. From here on I'll use a confidence threshold of 0.3. # Display qualitative results on the specified image. # Process an image and save it to another file. # Process a whole folder of images. # Process a video and save it to another file. As you can tell, eval.py can do a ton of stuff. Run the --help command to see everything it can do. 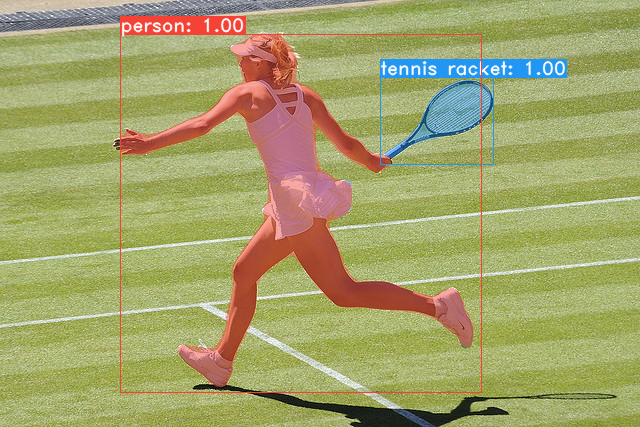 To train, grab an imagenet-pretrained model and put it in ./weights. For Resnet101, download resnet101_reducedfc.pth from here. For Resnet50, download resnet50-19c8e357.pth from here. For Darknet53, download darknet53.pth from here. Run one of the training commands below. Note that you can press ctrl+c while training and it will save an *_interrupt.pth file at the current iteration. All weights are saved in the ./weights directory by default with the file name <config>_<epoch>_<iter>.pth. # Trains using the base config with a batch size of 8 (the default). # Trains yolact_base_config with a batch_size of 5. For the 550px models, 1 batch takes up around 1.5 gigs of VRAM, so specify accordingly. # Resume training yolact_base with a specific weight file and start from the iteration specified in the weight file's name. For questions about our paper or code, please contact Daniel Bolya.